Wind turbines and wind power are increasingly being seen as vital to the move away from ‘dirty’ energy towards attaining the CO2 reduction goals that Denmark has set for 2030. One aspect of the new energy agreement, which was supported by a wide majority in Parliament last week, was a reduction in the number of turbines on land and more offshore wind farms. However, the agreement does not include any guarantees against taller wind turbines on land, reports Politiken. At present, wind turbines often reach a height of 150 metres – as measured according to the highest extent of their blades. The new agreement allows for turbines of up to 250 metres – only four metres lower than the pylons supporting Storebæltsbroen at its highest point – and this worries Dansk Folkeparti. DF has fought hard for a total ban on new turbines on land because they feel that the turbines make a lot of noise and disfigure the landscape. The new agreement sates there should be a maximum of 1,850 turbines on land by 2030, as opposed to the 4,000-odd at present. But there is no size limit included in the agreement, and that will be left up to municipalities to decide “according to current practice”. A number of parties in Parliament have been agitating for larger turbines and Vestas already produces turbines with a height of 180 and 241 metres. 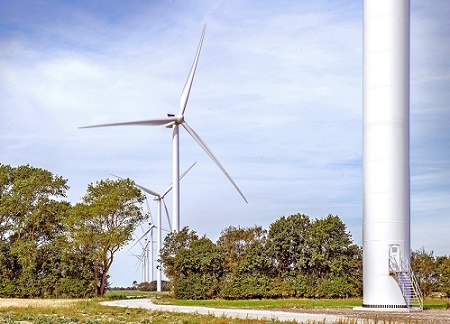 Mette Abildgaard, the political spokesperson for Konservative, says that it would be “perfectly natural” for Denmark to follow current developments towards taller turbines. “We are open to giving the municipalities the possibility of allowing turbines taller than those we permit today,” she said, adding that they have local knowledge to site the turbines where they cause the least inconvenience.